Last week we discussed the traditional African themed decor and as promised I am here with a discussion on safari themed decor. 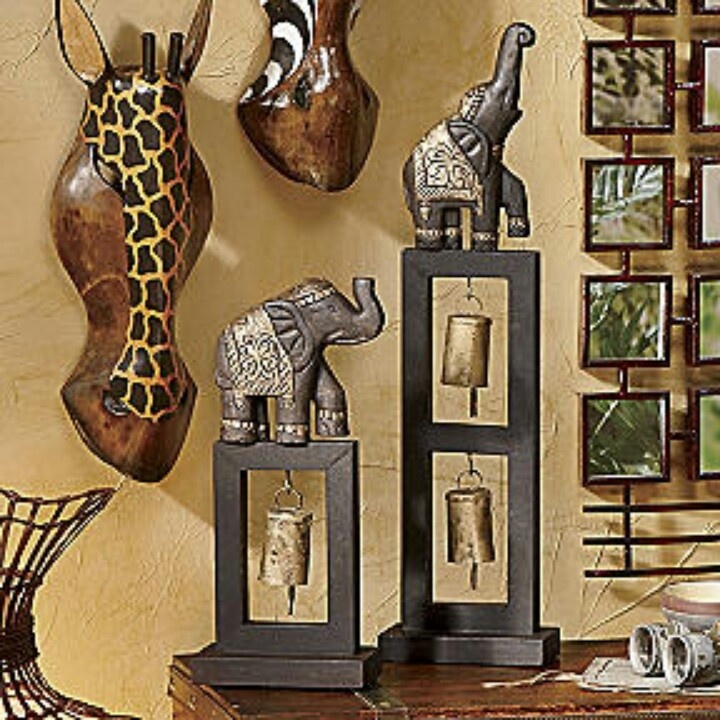 We already know the colors of African decor to be shades of brown and black, the additional thing however in the safari theme decor is the inclusion of animals (carved, wall art, prints on rugs, beddings pillows e.t.c.). The safari theme can also be called the jungle theme but I like to try to separate them if I can because a lot of people now mix up jungle for tropical which is a lot different. hanging carvings, artwork, photograph of the wild. You can also make it a feature corner so it looks like you have a mini-gallery in your home. Hang up an animal print rug ( a big one) that can almost serve as a wallpaper, It even adds more texture to the space than the wallpaper. Instead of your regular brick wall tiles, use granite stones to create your feature wall. If you aren't up for creating a feature wall and you love the minimalist type of decor, there is no problem at all. Just accessorize using throwpillows and rugs. 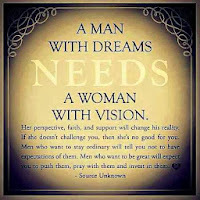 (It doesn't have to be only one type of print). There is absolutely nothing wrong with adding a few potted plants for more jungle effect but these plants should be mainly scrubs not trees. Don't forget that when you think of the safari, mostly the Savannah plains not the rainforest comes to mind. If you can't take care of live plants, just go for the plastic ones, they also look almost real. 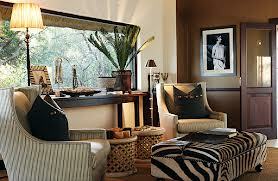 You can even have your window treatments made into the safari theme. 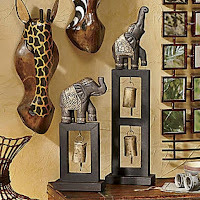 I hope with this information, you are more able to differentiate between the traditional African decor and the Safari decor. Up next is the Tropical themed decor. 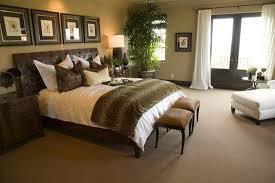 Don't forget also that all the themes of African decor can be mixed and match to give a wonderful outcome.